If you have been the victim of an embezzlement, it is crucial that you act quickly to recover your money and preserve your rights. Now is the time when experience matters. Lustig & Wickert has successfully handled numerous embezzlement cases and can answer your questions and provide you with a strategic plan. Call or contact us today for a free initial consultation. Embezzlement is the act of withholding assets for the purpose of conversion (theft) of such assets, by one or more persons to whom the assets were entrusted to be held or used for specific purposes. Embezzlement is a type of financial fraud. For example, a lawyer might embezzle funds from the trust accounts of their clients; a financial advisor might embezzle the funds of investors; a trusted employee or partner might embezzle funds from a bank account, take improper expense reimbursements, or charge improper expenses to the company credit card. Embezzlement is a premeditated crime, performed methodically, with precautions that conceal the theft of the property and which occurs without the knowledge or consent of the affected person. 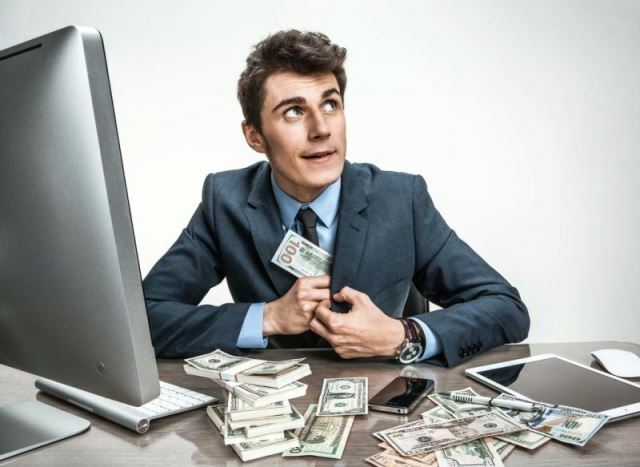 Often it involves the trusted individual embezzling only a small proportion of the total of the funds or resources they control, in an attempt to minimize the risk of detection of the theft. When successful, embezzlement may continue for many years without detection. The victims often realize that the funds are missing and that they have been duped by the embezzler, only when a relatively amount of cash is needed at one time; the funds are called upon for another use; or when a major institutional event, such as a reorganization (the closing or moving of a plant or business office, or a merger/acquisition, purchase or sale of a firm) requires the complete and independent accounting of all real and liquid assets. In the United States, embezzlement is a statutory offense that, depending on the circumstances, may be a crime under state law, federal law, or both. Typically, the criminal elements of embezzlement are the fraudulent conversion of the property of another person by a person who has lawful possession of the property. Criminal conversion: Embezzlement is a crime against ownership, that is, voiding the right of the owner to control the disposition and use of the property entrusted to the embezzler. The element of criminal conversion requires substantial interference with the property rights of the owner. Property of another: A person cannot embezzle his or her own property. Lawful possession: The critical element is that the embezzler must have been in lawful possession of the property at the time of the fraudulent conversion. Embezzlement sometimes involves falsification of records in order to conceal the activity. Embezzlers commonly steal relatively small amounts repeatedly, in a systematic or methodical manner, over a long period of time, although some embezzlers steal one large sum at once. Some very successful embezzlement schemes have continued for many years before being detected due to the skill of the embezzler in concealing the nature of the transactions or their skill in gaining the trust and confidence of employers, investors or clients, who are then reluctant to “test” the embezzler’s trustworthiness by forcing a withdrawal of funds. Another method is to create a false vendor account and supply false invoices to the company being embezzled so that the checks that are cut appear completely legitimate. Yet another method is to create phantom employees, who are then paid with payroll checks. The latter two methods should be uncovered by routine audits, but often aren’t if the audit is not sufficiently in-depth, because the paperwork appears to be in order. 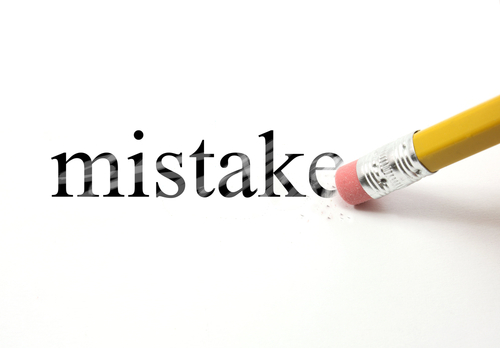 A publicly traded company must change auditors and audit companies every five years. The first method is easier to detect if all transactions are by check or other instrument, but if many transactions are in cash, it is much more difficult to identify. Employers have developed a number of strategies to deal with this problem. In fact, cash registers were invented just for this reason. Internal controls such as separation of duties are common defenses against embezzlement. For example, at a movie theater, the task of accepting money and admitting customers into the theater is typically broken up into two jobs. One employee sells the ticket, and another employee takes the ticket and lets the customer into the theater. Because a ticket cannot be printed without entering the sale into the computer (or, in earlier times, without using up a serial-numbered printed ticket), and the customer cannot enter the theater without a ticket, both of these employees would have to collude in order for embezzlement to go undetected. This significantly reduces the chance of theft, because of the added difficulty in arranging such a conspiracy and the likely need to split the proceeds between the two employees, which reduces the payoff for each. In the daily crush of business, we take shortcuts. We want to trust those that we have placed our trust in. Often, when the embezzler is unmasked, the first reaction is often “it can’t be” or “you must be kidding”. No one sees it coming. That is because the embezzler has somehow earned your trust and confidence. Remember that the word “Con” owes its origin to the word “confidence”. When confronted with a strong suspicion that a embezzlement has occurred, you need to move quickly and decisively. Most important is the goal of limiting further losses, obtaining evidence and preserving evidence. However, equally important is the goal of recovering the money that has been stolen. In certain cases, an employer would also be entitled to receive back all salary and other compensation it paid to the employee while he was stealing from them. The success or failure of the recovery effort is often influenced by how long it took the employer to decide to act. Lustig & Wickert’s experience in handling numerous embezzlement cases gives us insight into what happened, how it happened, how to stop the embezzlement while preserving the evidence and your rights. We know what works and what doesn’t. We have resources available for things like private investigators, forensic accounting, IT, data reconstruction and data recovery that are sometimes required. Under certain circumstances, we may even be able to freeze the embezzlers assets before they can sell or transfer them. It is much more difficult to find and chase stolen assets once they have been moved. Lustig & Wickert also has vast experience working with Federal and State law enforcement agencies investigating an embezzlement. We have even been successful in claims by our clients against their commercial insurance carriers for coverage of the embezzlement. Know this; that time is not your friend when you have been embezzled. The quicker you act, the more likely it is that you will stop further losses and maximize the likelihood that you will recover all that which was taken from you. Lustig & Wickert provides outside general counsel services to start-up and small to medium size businesses in Illinois. Most of our clients can’t afford to hire a full time in-house lawyer, so we give them the edge of having a business focused law firm on-call without the expense of having a full-time attorney on staff. We form new corporations and limited liability companies for our clients on a same day basis at no extra charge. This means that your new business can be up and running in 24 hours with all the necessary formalities. You will be able to open a bank account, hire personnel, sign contracts and conduct business immediately. Lustig & Wickert assists its clients with the legal needs that are common to most businesses, such as preparing or reviewing leases, employment agreements, non-disclosure agreements, independent contractors agreements and vendor contracts. We routinely advise our clients on employment matters including hiring and termination, and help them navigate the minefield of laws and regulations regarding independent contractors, non-competition agreements, non-solicitation agreements, non-disclosure agreements, trade secrets, trademarks and intellectual property rights. When the time comes to terminate an employee, we can recommend severance or termination agreements and advise our clients through the myriad laws impacting this relationship. We can also help you structure new business relationships and create the agreements that make them work. We can answer your legal questions and give you solid business advice you can rely on. Whatever your business legal needs, trust Lustig & Wickert to handle them properly. We are also skilled at handling the purchase and sale of our clients business interests, including stock purchases, asset purchases and mergers. We are experienced at everything from negotiations and contracting, to closing. We work closely with our clients tax advisor to structure the proposed transaction in a tax advantaged way. We can review critical documents such as real estate leases, loan documents, employment agreements, non-competition agreements, vendor contracts and insurance policies and help develop transactional strategies. Once a contract has been signed and the deal formalized, we work closely with our clients and their accountants to close the transaction and transfer the business interest. Lustig & Wickert can also recommend shareholder agreements and operating agreements which impose rights, obligations and restrictions upon the individual shareholders and owners of a businesses. These types of agreements frequently determine the outcome in the event of death, disability, divorce, termination of employment, purchase or sale of an interest in the business, deadlock and failure to agree. No matter what industry your business is in, corporate compliance affects your business regularly.From filing required reports with governmental agencies to conducting at least annual meetings of the owners or corporations and LLC’s, corporate compliance is is an essential part of your operations. Corporate compliance is name we give the process of making sure your company management and employees follow the laws, regulations, standards, and ethical practices that apply to your business. Effective corporate compliance will cover both internal policies and rules and federal and state laws. Enforcing compliance in corporate policy will help your company prevent and detect violations of rules and laws. This can save your business from fines and lawsuits and protect the owners and operators from personal liability. Corporate compliance also lays out expectations for company management and employee behavior, helps your staff stay focused on your company’s broader goals, and helps operations run smoothly. Ask us how we can assist your business with its corporate compliance obligations. All business entices with a presence in Illinois are required by law to have a resident of the State of Illinois act as the official Registered Agent of the business to receive service of process and other official communications. Most of our business clients request that we serve as their Registered agent in the State of Illinois and we have developed special systems and procedures for handling this responsibility and to maintain the requisite documentation to keep the business in good legal standing. We also serve as Registered Agent for foreign businesses that also have a physical presence in Illinois. Our role as corporate lawyers is to ensure the legality of commercial transactions involving our clients, advising corporations on their legal rights and duties, including the duties and responsibilities of shareholders, directors and corporate officers. 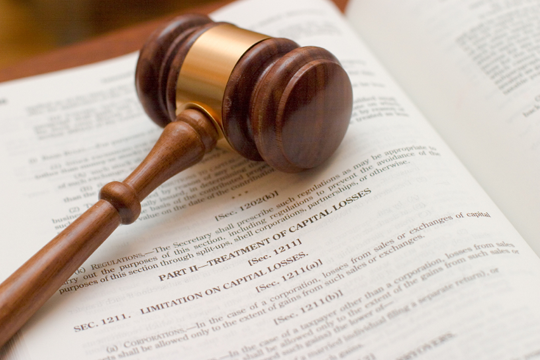 We are familiar with of all aspects of contract law, accounting, securities law, bankruptcy, intellectual property rights, licensing, and the laws specific to the business of our clients. 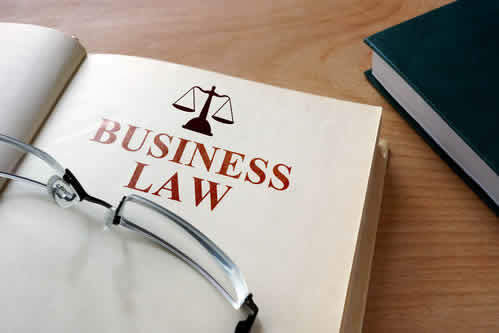 Whether negotiating the acquisition of a business or assisting a small Internet start-up company, corporate lawyers are involved in advising businesses on their numerous legal rights, responsibilities, and obligations. General corporate practice involves handling a wide range of legal issues for businesses. As corporate lawyers we also advise our clients on issues concerning trade secrets and other types of intellectual property such as patent and trademark licensing; antitrust issues; real estate; and contractual matters such as technical assistance agreements between our clients company’s and outside consultants hired to provide computer and other information technology assistance. New businesses are typically faced with numerous business decisions, including whether to structure the business as a corporation, a partnership, a limited liability company, a sole proprietorship, limited liability partnership, or even as a joint venture (a partnership arrangement with an established company). Determining the appropriate business structure requires a thorough understanding of how to raise initial capital; how to finance the business; the implications of federal and state tax requirements; and how to limit liability for the stakeholders. As part of determining how to structure the business, we can also assist the start-up venture with matters such as developing a business plan and analyzing different methods of financing. We can also participate in “due diligence” checks concerning the company that is to be acquired. This means that our staff can reviews the company finance, employment agreements, intellectual property, environmental liabilities, real estate leases, and pending litigation involving the company and then advise our client about the risks. We can also help our client to determine what portion of their company will be sold and whether the sale will be structured as a sale of the company’s assets or a sale of the stock of the company. We can draft non-compete agreements stipulating that the seller of the business cannot immediately compete with the buyer’s newly acquired business. We can also assist with matters such as the transfer of technology and intellectual property from one entity to another. We are experienced in conducting internal investigations involving fraud and embezzlement by shareholders, officers, directors and employees. We have successfully recovered millions of dollars and helped save corporations from going out of business as a result of these inside thefts. We are experienced at corporate compliance such as acting as an entities registered agent and the filing of annual reports necessary to maintain an entity in good legal standing. We also can prepare minutes of the required annual meetings of the entities owners and managers to document the official actions taken, such as corporate resolutions. As a business client, we hope that you will consider Lustig & Wickert as the quarterback of your businesses legal team. Civil litigation encompasses a broad range of disputes; proving fault or negligence and demonstrating the extent of damages or injury can be challenging. We have successfully represented individual and business clients in thousands of case involving breach of contract, negligence, shareholder disputes, injunctions, anti trust, patent infringement, trademark infringement, copyright infringement and embezzlement. While many cases are straightforward, we are routinely retained because of our expertise in large, complex litigation matters. Our highly experienced attorneys have attained a high-degree of peer recognition and professional achievement and have been practicing for decades. When you retain us, every aspect of your matter will be handled by a seasoned lawyer. Lustig & Wickert provides effective representation for civil litigation matters, including trials, hearings, arbitrations, and mediations in federal, state and local courts. Whether you are involved in high-stakes commercial litigation, require business law advice, or need legal guidance through a unique or complex transaction, our attorneys can help. To learn more about what our experienced attorneys can do to help you and your organization achieve your legal goals, we encourage you to call or contact us today. Our clients have found our willingness to creatively structure result based fee agreements to be particularly important in these types of disputes. The attorneys at Lustig & Wickert are experienced in a wide variety of intellectual property protection. We have successfully handled the prosecution and defense of patent, copyright, trademark and trade dress infringement claims. We also have extensive experience in trade secret protection. Lustig & Wickert brings real trial experience to intellectual property litigation. Often intellectual property lawyers have the technical knowledge but become bogged down in the technical aspects of the case. As trial attorneys, we can simplify these technical issues so a jury can understand them. 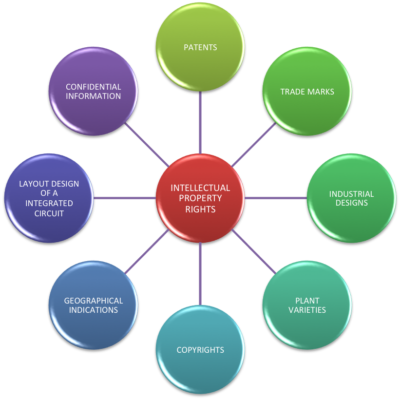 We have previously been engaged by intellectual property attorneys as co-counsel to handle the trial of patent matters. Our lawyers have been involved in cases as diverse as computer software, ceramic welding, and folding chair design. Bankruptcy is a legal term for when a person or business cannot repay their outstanding debts. 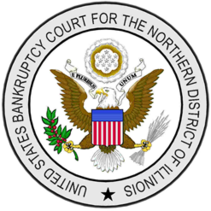 The bankruptcy process begins with a petition filed by the debtor, which is most common, or on behalf of the businesses creditors, which is less common. Lustig & Wickert has significant experience in business bankruptcy and bankruptcy-related adversary litigation. We help our clients develop strategies for navigating the minefields of insolvency. We also represent debtors, creditors, and other parties in adversary matters in bankruptcy court. Our experience coupled with our willingness to utilize result based fee arrangements have proven attractive to clients in bankruptcy litigation by minimizing expenses and risks. An appellate court, commonly called an appeals court, is any court of law that is empowered to hear an appeal of a trial court or other lower tribunal. Appeals are decided by panels of three judges. The court of appeals does not receive additional evidence or hear witnesses; rather the judges make their decision based on the written record of the case in the trial court, the briefs submitted by the parties, and possibly oral argument. When a case reaches the appellate courts, the stakes are high. Lustig & Wickert believes that to be successful in appellate practice a law firm requires not only skill but also experience. We offer decades of such experience, having successfully argued cases before the United States Supreme Court, multiple federal courts of appeal and the appellate courts of Illinois. We have both the skill and experience necessary to succeed, and are committed to bringing all of our experience and skill to bear on a matter when a client’s case reaches the appellate courts. Trademarks tell the world that what you make or what you sell comes uniquely from you. You want to stand out. You want customers to remember you and you want to keep copycats at bay. Strong trademarks do all these things. Once you have selected your new business name, product name, logo or slogan, it is critical that you have a comprehensive trademark search performed. The purpose of the comprehensive trademark search is to determine whether your name, logo or slogan is in fact available for you to use and register as a trademark for your business. 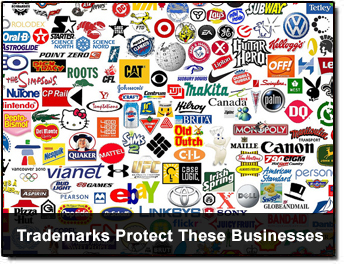 You need to confirm that you name, logo or slogan that you have selected will not infringe upon anyone else’s trademark rights, so that you may protect yourself from lawsuits from other companies claiming trademark infringement. The comprehensive trademark search will ensure that your name, logo or slogan is free and clear for you to use and avoid infringement if your business name, logo or slogan has already been taken. Preliminary online screening searches to determine registrability of trademarks and/or infringement risks relative to existing third party trademarks. Full trademark searches using the services of a third party search firm to determine federal registrations, state registrations, common law usages of third party marks, and internet domain name registrations. Preparation and filing of trademark application with U.S. Patent and Trademark Office or appropriate state corporate divisions. Prosecution of trademark applications with US Patent and Trademark Office, including negotiating with Examining Attorney assigned to trademark application to obtain issuance of trademark registration. 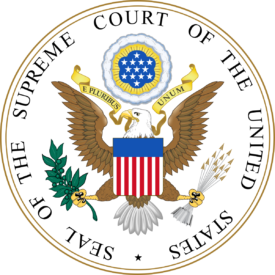 Enforcing trademark rights through litigation in federal or state courts. Providing trademark monitoring services on an ongoing basis. Call us for a free consultation if you have a name, logo or slogan that is important to you. We can help you protect these valuable assets.